Berkley's "Old Faithful" Power Worm has been around and continues to catch fish after fish! It's ribbontail design swims naturally on the fall with twitches and short hops. 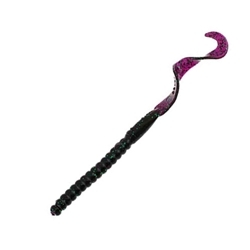 The Power Worm's soft but firm texture is irresistible to fish. Ideal for lakes, reservoirs, streams or rivers.